Alert! The Cooper Union Relocation site does not support Internet Explorer. Please switch to Google Chrome, Mozilla Firefox, or Safari. Thank you. “Through outstanding academic programs in art, architecture and engineering, The Cooper Union for the Advancement of Science and Art prepares talented students to make enlightened contributions to society. This website is your information source. 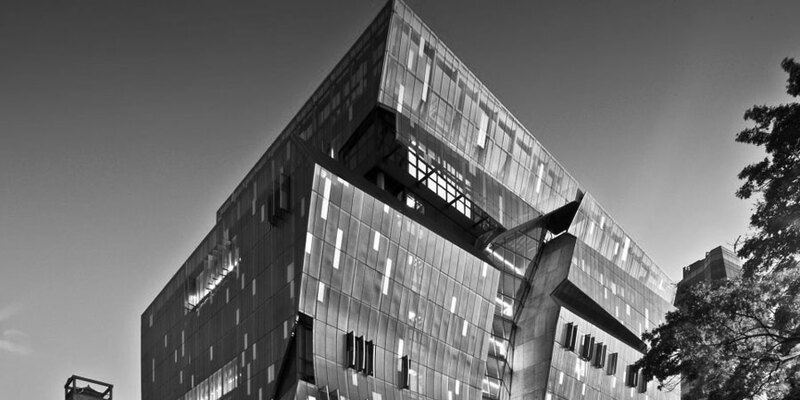 On this site, you can follow reports of progress, and learn about the challenges facing The Cooper Union as well as the opportunities. The future of The Cooper Union will be guided by critical decisions that will be made by the Community, the President and the Board of Trustees. The President will appoint a Relocation Task Force led by current faculty, students, alumni and industry leaders. The President is conducting an academic review. TC Westcott, Vice President for Finance & Administration is leading a review of administrative operations. External advisors are reviewing operations and offering perspectives. President Bharucha will charge the Relocation Task Force with identifying alternative locations for the Albert Nerken School of Engineering and studio space for the School of Art for the Fall 2015 semester. 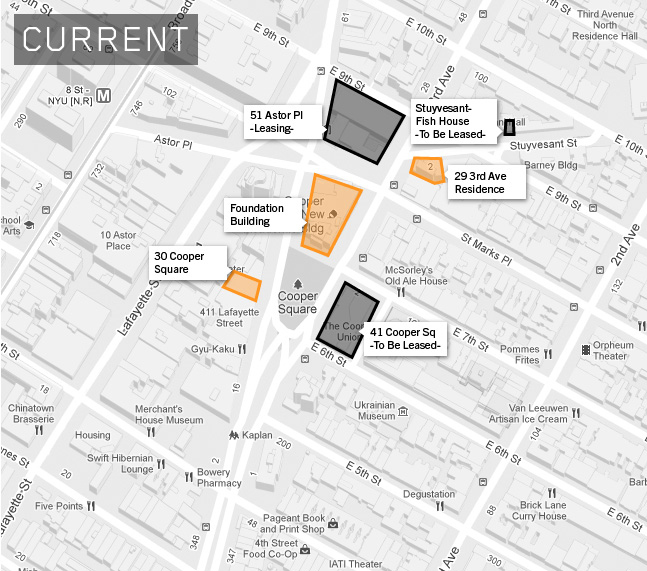 Lease of its current location at 41 Cooper Square to the Polytechnic Institute of New York University will ensure revenue over and above the $20 million needed annually by 2018 to attain fiscal solvency. 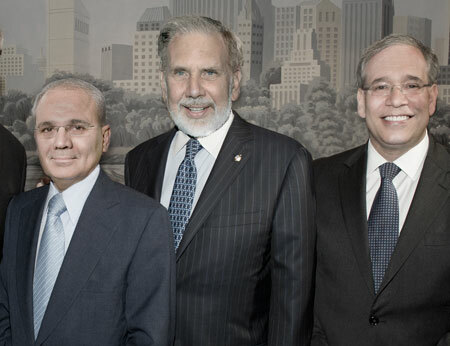 President Jamshed Bharucha has engaged the entire community in an initiative to relocate the academic programs at 41 Cooper Square by 2015. The New Academic Building will be leased in order to provide over $20 million in revenue, allowing Cooper Union to preserve its long-standing tradition of full-scholarship higher education. Tell us what you think about potential campus relocation sites, or make a suggestion of your own. Follow the link to the Resources page. In response to the financial challenges facing The Cooper Union, and at the reccomendation of the previously appointed Revenue Task Force, President Bharucha is announcing the formation of a new community-elected Task Force. The Relocation Task Force will collect and analyze all relocation-oriented ideas and recommend specific mechanisms that can be counted on to achieve stated sustainability goals over and beyond our current development estimates. The target is a relocation site that satisfies the needs of both the Albert Nerken School of Engineering and provides studio space for the School of Art. 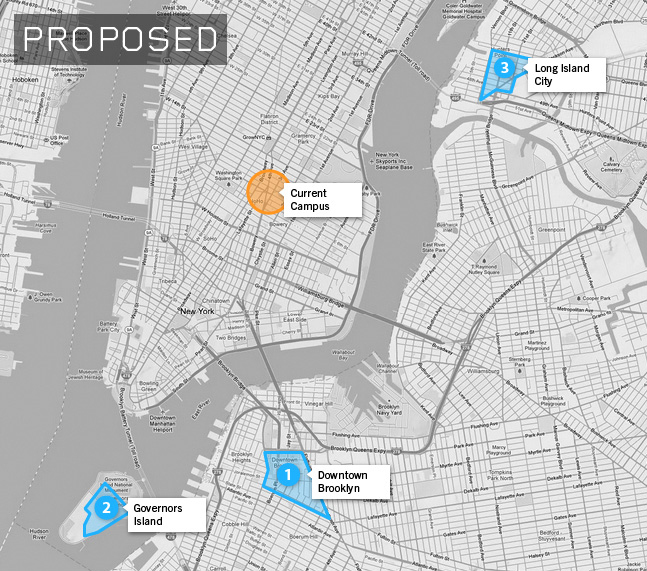 Relocation site recommendations must be accessible to students via MTA transit, traveling from the Foundation Building at 7 E 7th Street, and within the New York City vicinity. Purpose: to recommend to the President a set of tenable options that will support student and faculty needs, in order to create a sustainable financial model for the future of Cooper Union. There should be a ramping period (for example, relocation will begin in Academic Year 2013, increasing steadily until 2015).The Task Force will solicit and review relocation ideas with the goal of recommending a set of actions by the end of the summer. To submit your suggestions please message proposals@cooperrelocation.info. President Bharucha also encourages members of the Cooper Union Community to participate in the Task Force Membership electoral process. The documentary that has brought the issue of student debt to the forefront of the national discourse will be shown at the Cooper Union. Filmed by San Francisco-based filmmakers, Serge Bakalian and Aurora Meneghello, DEFAULT is currently being aired nationally on PBS, Link TV, and has been screened at over 200 campuses and conferences. Recently voted, “Best Short Documentary” by the SF IndieFest, DEFAULT has received national media attention with exposure in The Nation, Forbes, AlterNet, Washington Post, Huffington Post, Salon, Common Dreams, The Norman Goldman Show, Ring of Fire Radio, NPR's All Things Considered, The Leslie Marshall Show, Fast Company and many others. A Q&A with filmmaker Aurora Meneghello will follow via Skype. 1T DAY: COOPER UNION WALKS OUT! On April 25 student debt reaches 1 trillion dollars nationally. To show solidarity and to highlight the imposing changes (tuition, graduate programs...) to the school, the Cooper community will be walking out and working out! At 8 AM we meet in Peter Cooper Park for brainstorming and community discussion.